Lung Cancer is the leading cause of death among men and the second leading cause of death in women as per latest 2018 statistics. None-Small Lung Cancer represents 85%-90% of all cases of lung cancer. There are 3 different types of None Small Lung Cancer: Squamous cell type and this happens in smokers and is more common in males, Adenocarcinoma which affects the None- smokers and is more common in females, and the Large Cell Carcinoma, and if affects equally Males and Females and Smokers or None Smokers. In Canada, in 2017, almost 28,600 Canadians were diagnosed with Lung Cancer and as high as 21,100 dies from this disease in 2017, which represents about 26% of all Cancer Related Deaths this year. For the last decade, a huge development in the treatment guidelines has happened with a major shift from the traditional treatment methods such as Surgery, Chemotherapy, and Radiation to the gentler treatment approaches that are based on the genetic profile of a tumour and its biochemical nature. 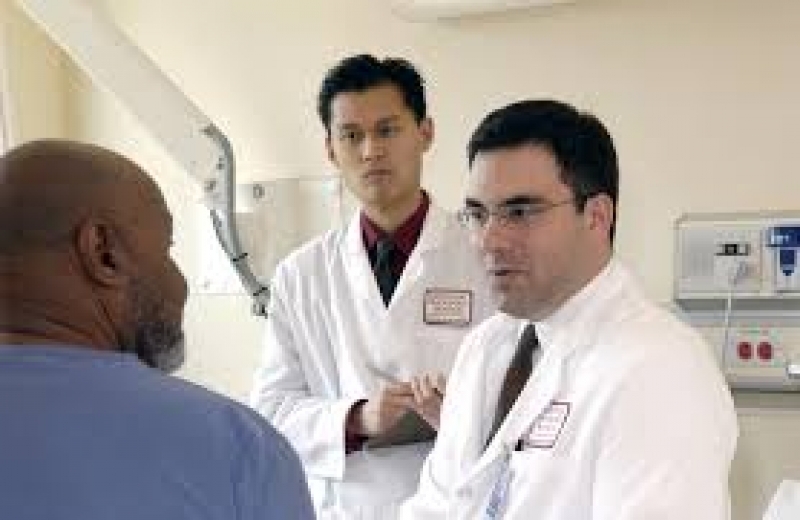 This does not mean that Surgery and Radiation are no more of value in treating Lung Cancer, but the role of Chemotherapy as a systemic treatment started to diminish and being shared with the new and evolving Immunotherapy or in many patients being Replaced by the Immunotherapy.So, Lung Cancer Immunotherapy a new trend in cancer management . What is the new in Lung Cancer Treatment? According to this research: Immune-Based Therapies for None-Small Cell Lung Cancer published in the Anti Cancer Research Journal in 2017 http://ar.iiarjournals.org/content/37/2/377.full.pdf , there are now many therapies directed against lung cancer called Immune Therapies and they are all based on the fact that, cancer cells carry certain genes on their surface called PD1 (Programmed Cell Death Gene 1) which is similar to the gene carried by normal body defence cells (T Lymphocytes) so in this way the cancer cells DECEIVE the body defence cells (Lymphocytes) so it wouldn’t be attacked by them and live in peace and thrive . In this research, the oncologists found many new Immune therapy agents that are called Monoclonal antibodies such as Nivolumab, Pembrolizumab, and Atezolizumab. These new agents attack the genes on cancer cells that carry these receptors (Programmed Cell Death Gene 1) which changed the cancer cells to be easily identified by the body defence cells (Lymphocytes) and attack them. According to this research, these new immune therapy agents achieved a better results in Lung Cancer treatment than the conventional chemotherapy as evidenced by the improvement in the median overall survival (in months) from 8 months only to 19.4 months after giving Docetaxel or the Immune Therapy Nivolumab respectively (P-value: < 0.001) if PD1 Gene expression is more than 10%. Can Natural Ways and Naturopathic Medicine Improve your Immune System? The answer to this question is yes. In addition to the recent developments in Lung Cancer Treatment using the Immunotherapies which aim at improving the function of the Lymphocytes, Natural Therapies work on the whole immune system leveraging its main components and supporting not only the basic building blocks of the immune system, but also, working in synergy with the mainstream Oncology Treatments. Natural Interventions that help Lung Cancer Treatment include: Alpha Lipoic Acid (ALA) which can be given orally or intravenously, this ALA works by inhibition of the NFkB, being an antioxidant that fights oxidative stresses that encourage cancer growth, and it activates apoptosis. Green tea EGCG is another natural intervention that works against cancer cell growth by inhibiting angiogenesis (formation of new blood vessels that nourish the cancer cells and so deplete it from nutrition, and so eventually the cancer cell dies), and it is also an inhibitor for the M-tor. Is there certain food or drinks that Lung Cancer patients should eat? Many patients wonder what type of foods they eat, and many go as far as a pure ketogenic diet what can be tough on many patients with cancer especially if they start their radiation therapy of chemotherapy. The most important dietary advice for Lung Cancer patients is to keep an adequate water intake which ranges between 2-3 litres a day especially during chemotherapy as water is essential in the building of the immune system, and during chemotherapy, it helps the body to detoxify the chemotherapy after it exerts its action on the tumour. High protein intake is another dietary measure that every patient with lung cancer should maintain in order to support the immune system and keep the muscle mass as close to the normal range as possible. Dark green leafy vegetables are very good sources of antioxidants that are helpful for Cancer Treatment and supporting the Immune system.